Buying and selling cryptocurrencies has never been this easy and convenient, thanks to the recently formed partnership. Virtual crypto ATM platform Netcoins announced that it will be expanding to over 171,000 retail locations in at least 65 countries across the world, thanks to the recently inked “definitive agreement” with a global voucher partner, according to a press release dated September 17. Netcoins’ integration with the presently-undisclosed partner is expected to be complete by the end of November this year, which will allow the former to reach over 1 Billion people with its platform. Even now, the partnership has already recorded over 40 Million payments placed safely. The partnership will further reinforce the so-called “cash vouchers,” which they believe to be one of the ways to streamline the adoption of cryptocurrencies across the globe. Also, the partnership also provides users with a digital wallet which would allow them to purchase vouchers online through their credit cards, which in turn can be redeemable via Netcoins for the cryptocurrency of their preference. 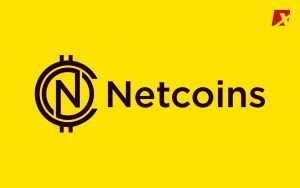 Currently, Netcoins offers a vast array of digital assets, including Bitcoin, Ethereum, XRP, Bitcoin Cash, Pareto, just to name a few. Furthermore, Binns said that the move further increases the advantage that Netcoins offers to firms that are looking to list their coin for purchase in a retail environment in exchange for fiat money. Netcoins is poised at continually developing software which will make the purchase and sale of cryptocurrencies easily accessible to the masses through brokerage services. There are over 21,000 retail locations in Canada, Europe, and Australia, as well as an over-the-counter (OTC) trading desk. One advantage that the platform has over physical crypto ATMS is that stores which will use the platform will not have to maintain crypto inventory or even legal compliance. Aside from providing stores with earning percentages on every order, these virtual crypto ATMs have no upfront or ongoing cost.